Camping is one of the best outdoor activities to experience that mother nature has to offer. The benefits of camping are plentiful, such as quality time with loved ones, escaping the hustle and bustle of the city, and the numerous health benefits associated with being in the outdoors. 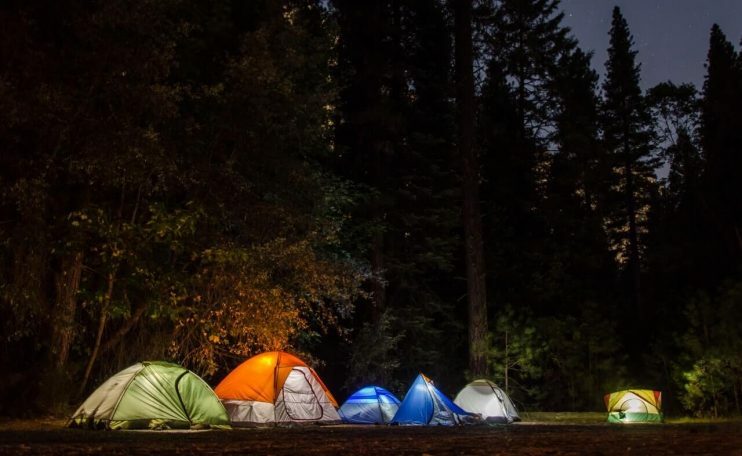 Camping is also an activity that can be enjoyed in several locations, whether that is in a national park, state park, your backyard, the backcountry, or any other campground. With camping comes a little bit of preparation to make sure that the overall experience is both safe and as pleasurable as possible. To help with your next camping trip, we have compiled a list of items to bring, with a printable checklist as well. While packing, make sure to reference this list or the printable camping checklist to make sure you have everything! Items around the campsite will include the essentials when it comes to shelter and bedding, as well as anything that will help you navigate around. As for a tent and sleeping bad, these are things that could be rented from your local outdoor goods store so keep that in mind. Clothing is a necessity when going camping and should be planned for accordingly. Depending on the weather conditions of your campsite and the dates you go, types of clothing will vary. Dressing in layers will help you keep warm in colder environments and light colored clothing will keep you cool in warmer environments. The kitchen items are essential tools for cooking and cleaning while camping. By bringing the correct cooking and cleaning items, your camping adventure will be that much easier and enjoyable. Food is one of the most important things to consider when camping because of the different variations of meals that can be created. Eating in the outdoors is a different experience since the cooking methods can be different, like using the campfire as your stove. We have listed basic staple camping foods, but feel free to spice things up to your liking. Long days spent in the sun or any other environment will cause anyone to break a sweat. Personal items will help you freshen up and feel your best throughout your trip. While camping, anything can happen when in the outdoors, from minor to major injuries. It is best to always have a first aid kit with you when you go camping, that so you are prepared for any situation. The camping items listed above goes into everything you could possibly need, so everything listed out isn’t mandatory, outside of food, shelter, clean water, and clothing. If you camp often, we recommend filling storage bins with all your camping goods. This way, when you go on your next adventure, you can just pop your items in the car, pack your clothes, hit the grocery store, and be ready for your next outdoor adventure.